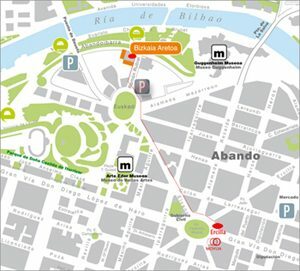 The sessions will be held in Bizkaia Aretoa Building, Basque Country University/Euskal Herriko Unibertsitatea. This building, designed by the Portuguese architect Álvaro Siza, is located in one of the most emblematic areas of Bilbao. Nowadays it holds social, cultural, academic and scientific events mainly organized by the UPV / EHU itself. You will find all the information in the following link.